There's a new campaign focused on making sure Massachusetts drivers don't take the wheel while high. 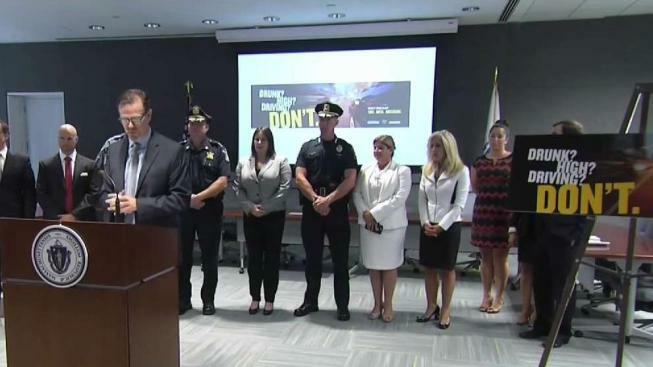 As Massachusetts residents anticipate the opening of the state's first recreational marijuana dispensaries, officials are launching an education and enforcement campaign to motivate drivers to be responsible when it comes to using alcohol or marijuana. At 10 a.m. on Wednesday, state police, cannabis advocates and representatives from Uber and Lyft will present "The Roads You Take," a movement that focuses on emphasizing the importance of sober driving. Lyft will be offering $50,000 in driver credits to those who will use the rideshare. The company will give each person $4.20 off a ride in Massachusetts to those who pledge not to drive under the influence on social media. Massachusetts residents voted to legalize adult recreational use of marijuana in 2016. The state aimed at opening recreational pot shops on July 1, but faced several setbacks. Sale permits were issued late and licensed laboratories meant to test marijuana, as required by the state, have not yet been approved.